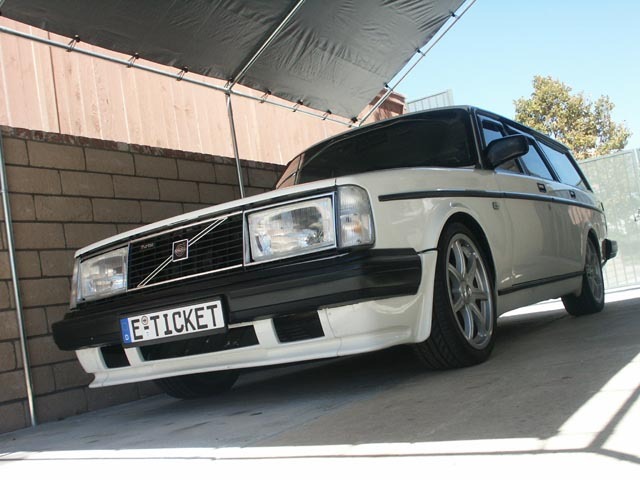 Ok, so we all know there is no such animal as a Volvo 245 R. But when Dave Barton of Lake Elsinore , California first bought this '84 245 Turbo back in 1997, he really had no idea the extreme direction it would take. 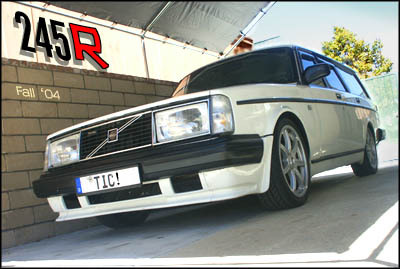 It was not his first turbo Volvo, but since it was his first 240 Turbo, he says he found himself in a strange new world when it came to trying to understand things like the K-Jetronic fuel injection system. This car was Dave's daily driver, so as many of you know there are limits to the kinds of mods you can do to a car that needs to get you to work in the morning. For those of you, like Dave, who were into modifying Volvos in the 90's, you will remember that there were not a lot of sources for bolt-on performance parts, and even though he was no stranger to hot-rodding (having previously own a �66 Chevelle street rod and a '67 BMW 1800ti Alpina Group 3 racer) he admits he was just beginning to figure the Volvo out. Dave had been a customer of IPD for 10 years by this time, which was a good source for a few performance improvement items. So mods started getting done, even if they started off slowly. A funny thing happened about the time Dave bought the 245. He got the internet and soon discovered other Volvo people out there who also had the internet. Turbobricks was a brand new concept back then and he remembers spending hours reading the email digests and looking for new ideas. �I learned an enormous amount from others who shared their own experiences,� says Dave. The original Turbobricks email list is now extinct, but Dave believes the latest Turbobricks forum has it beat by a long way. Dave says, �And I am still learning about these cars. The dynamic discussions that go on here really help in making these mods work to their fullest potential�. If we sort of jump to the present century for a moment we notice that the 245 Turbo that started off so tame now has had some wild adjustments. As it progressed, Dave found it important to work on the aesthetics as well as the performance. The first major step was the elimination of the old wagon roof rack, which was done by a body shop (all holes welded, roof repainted to match) and the change to the flat hood and matching flat grill, which actually came from a junked '83 242 Turbo �flathood� Dave stumbled across in a wrecking yard. 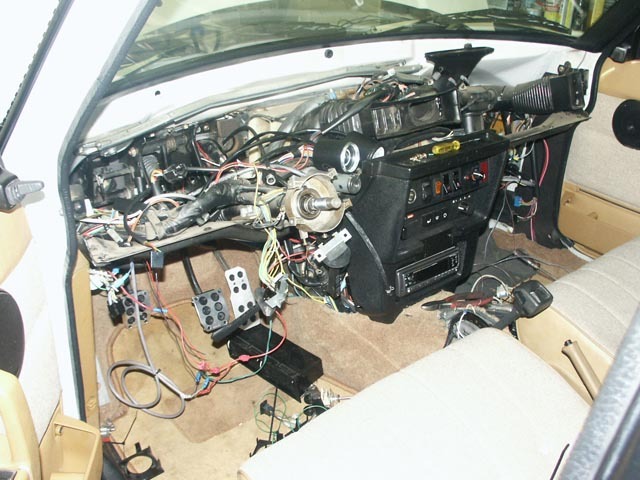 In 1998 the internet supplied the connections that helped him import the spoiler kit from Sweden . And the interior, originally leather that had begun to dry up, was replaced with a custom tweed and vinyl interior that brought the styling up to date. After experiencing some problems with the suped up AW-71 transmission, Dave decided in 2004 that it was time for a manual transmission. 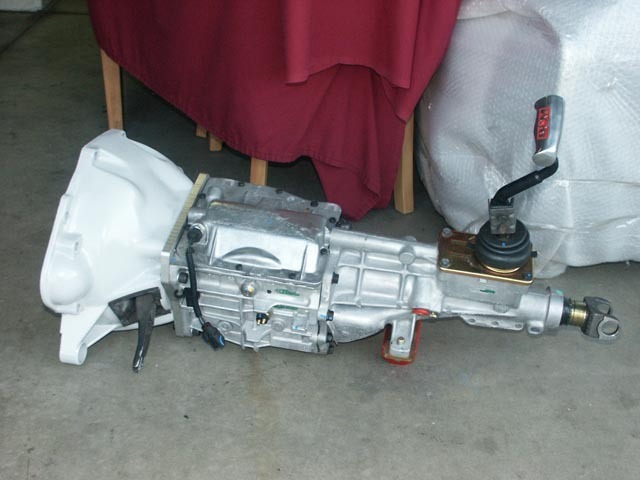 �Once again, the guys on the Turbobricks forum came though and led me to a great transmission swap,� Dave says. He chose a 2003 Ford T5 five-speed gearbox from Summit Racing mated to a Volvo M46 bell housing with an adapter made by Vintage Performance Developments in New York . 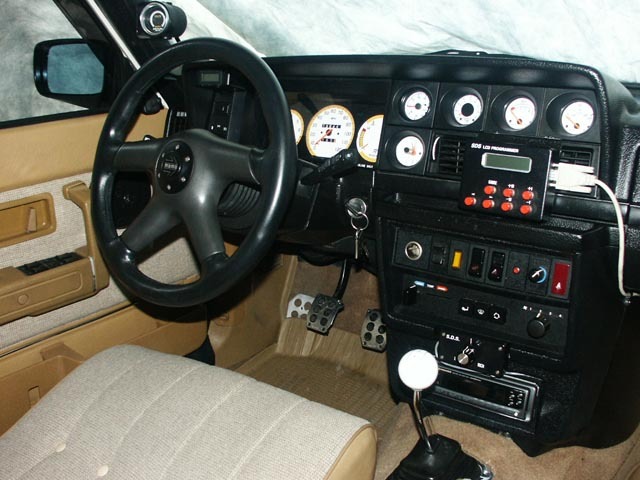 �Doug Kauer's 242 was the Guinea pig on this conversion and it worked so well, I had to try it for myself.� Dave exclaims, �I never owned a manual transmission Volvo before and I guess I never knew what I was missing. The increased control and fun factor was no real surprise. The jump in fuel mileage was a shocker, though.� Dave was used to gas mileage figures in the 16 to 18 MPG range and suddenly found his car getting 27 MPG plus on the highway. While Dave's car is no longer a daily grocery getter, it's still very much a road trip machine. �I've made quite a few trips to meets and shows in Northern California and Arizona . 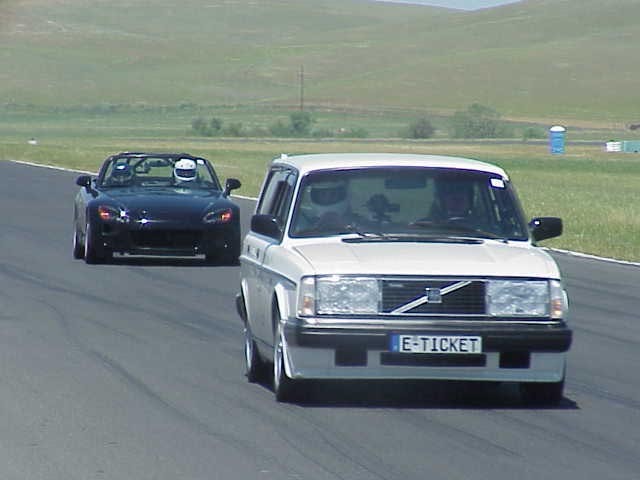 With so many mods, I cross my fingers each time, but it hasn't stranded me yet.� In 2003 Dave even drove his car in air-conditioned comfort 1,100 miles each way to the West Coast National Volvo Owners Meet in Olympia , Washington . His car won First Place and Best of Show in the modified division. Dave has chalked up a total of three First Place wins at national meets in recent years. Motor: Rebuilt 1984 B23FT, bored to 97 mm, forged crankshaft modified from 80 mm stroke to 89 mm, custom forged 4340 connecting rods from Pauter, Custom forged pistons from Wiseco, modified 398 head with 59 cc chambers. Unitek Phase 1 cam, standard turbocharger from 240 (after the Super 60 exhaust wheel destructed). The exhaust consists of a 3 inch MVP down pipe, catalytic converter and 3 inch Walker Dynomax muffler. Fuel injection is a Simple Digital Systems EM-2E with 550 cc Lucas injectors from RC Engineering. Ignition, also from SDS, is crank triggered and powered through an MSD 6A with MSD 8.5 mm wires. 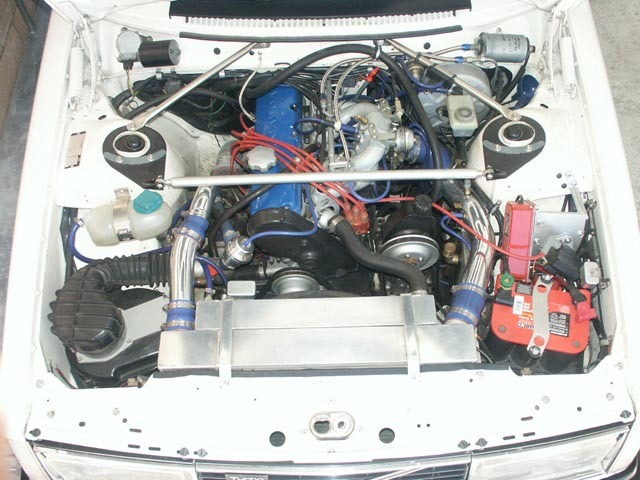 A custom built Spearco intercooler and B230 intake manifold supplies the air. Drivetrain: A 2003 T5Z (Tremec) Mustang gear box was adapted and fitted with a ClutchNet custom 100 % over stock clutch. 3.91 ratio Dana limited slip differential. Suspension: Adjustable coil-overs from MVP with 200 lb. front springs and 175 lb. rears. Struts and shocks are new old stock DeCarbon competition rally R-Sport dampers from Volvo's 240 racing program. Standard 23 mm front sway bar, IPD 25 mm rear sway bar. Front and rear polyurethane bushings from SuperFlex. Adjustable Panhard rod, adjustable rear upper torque rods. 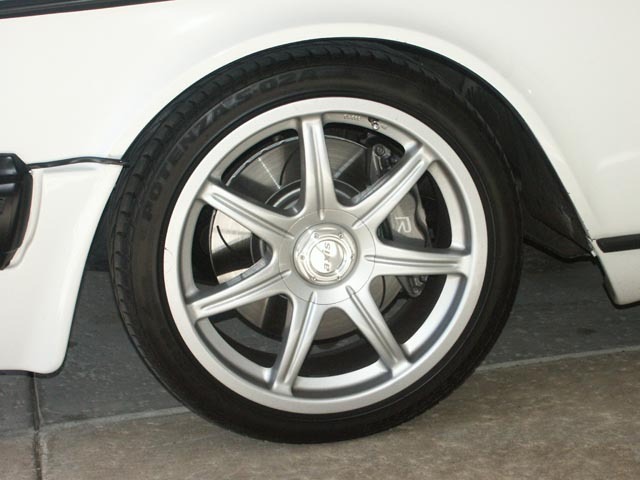 Wheels & Brakes: 18 x 7.5 inch Axis �Se7en� wheels with 225/40-18 Bridgestone Potenza S0-2A's. 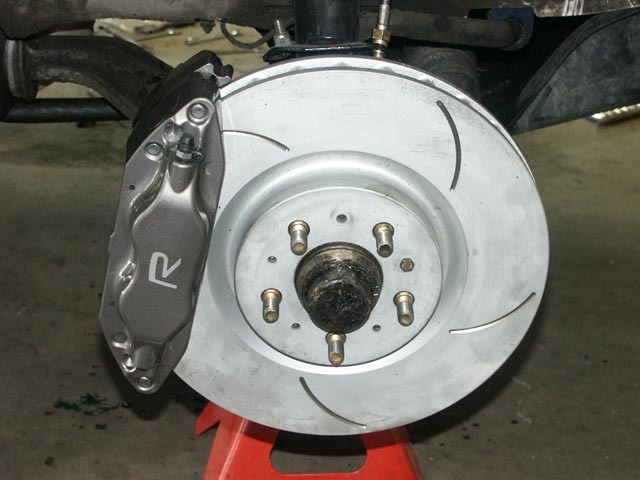 13.1 inch Brembo front discs and Brembo four-piston calipers from 2004 Volvo S60R. Rear brakes are OEM. EBC �Green Stuff� performance brake pads front and rear. ATE Super Blue high temperature fluid. Braided stainless steel brake hoses from IPD. Cosmetic: The front end was converted to a "flathood" style with Euro front headlights (dual H-1) and limited edition grille. Spoiler kit is from Bross in Sweden . Paint is original factory 189 white, with the exception of the top (roof rack was removed) and the hood, which has been repainted. Interior: The original leather seats were redone in tweed and vinyl along with matching door panels. Custom white face gauges include, Speedo, Tach, Water Temp, Fuel Level, Boost, Exhaust Temp, Oil Pressure, Oil Temp, Air/Fuel, Fuel Pressure and Clock. Momo �Daytona� steering wheel.